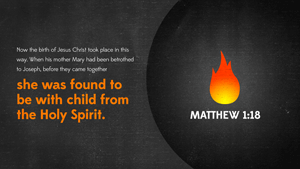 Day 1 – Read Matthew 1. What do you notice about Jesus’ genealogy? 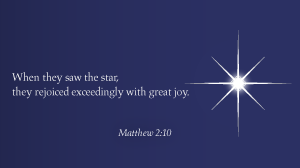 What encourages you from the story of Jesus’ birth? 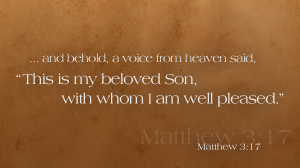 Day 2 – Read Matthew 2. Day 3 – Read Matthew 3. What was John’s attitude in his ministry role? Why do you think Jesus was baptized? 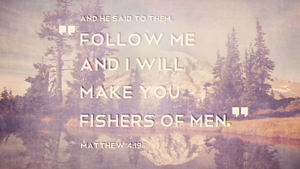 Day 4 – Read Matthew 4. In verse 2, what condition was Jesus in when tempted? In what circumstances do you find temptation hardest to fight? What touches you about how Jesus called the first disciples? Day 5 – Read Matthew 5. Which of the Beatitudes are most meaningful to you and why? In verses 21-22, Jesus points out that our heart attitude is just as important as our actions. Is there a heart attitude you are harboring that you need to confess? If you like having questions to help you think about the chapters you are reading, you might be interested in my book, A Light for Your Path: Helping You Reflect on Each Chapter of the Bible. This book contains one question or thought prompter for every chapter of God’s Word.